Check out the beautiful shaped card that Melissa made over at the Hybrid Chick blog using the Flower Fashion Digital stamp set. Love the sparkle and the coloring! Melissa has a wonderful tutorial over there to give you the “how to”. The theme over at the Hybrid Chick is weddings and there are some amazing projects – go check it out! 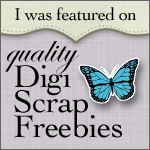 This entry was posted in Digital Stamps and tagged Digital Stamps on May 24, 2011 by Cathy. Thanks Cathrine! Your digital stamps are gorgeous! !